Most Birding Trail sites are marked with signs. Just remember that the sign does not equal a trailhead, it identifies a general area. If you go looking for the Idaho Birding Trail dressed for a day of hiking, you are likely to be disappointed. In most places, the IBT really isn’t really a hiking trail but more of a network or a string of destinations where birding can be exceptional. Let me explain. There are 175 recognized sites on the birding trail scattered over four regional designations across the state: north, east-central, southwest and southeast. I will concentrate on the southeast region as an example. There are 47 destinations within the southeast region which stretches from Henrys Lake to Bear Lake and the Tetons to City of Rocks. These are places like: Camas National Wildlife Refuge, Weston Reservoir, Henrys Lake subloop, American Falls Area, Sand Creek Wildlife Management Area and Massacre Rocks State Park. On some of these sites, there may actually be a designated foot trail. For most though, the idea is that a visitor will arrive and bird as they wish to. The IBT is more of list of destinations, perhaps best described as a “trail of trails”, where you are likely to find birds in higher numbers and/or more species. The southeast trail includes six of the 22 locations statewide designated as “blue ribbon sites.” According to the website, blue ribbon sites are "the best of the best" birdwatching in Idaho. If you are limited in time or want to start on a high note, these are the places to visit first. Statewide, there are also 44 areas additionally designated as Important Bird Areas, 15 of which are in the southeast area. Important Bird Area is an official designation for, “sites that provide essential nesting, migration, or wintering habitat for birds. If a site is identified as an IBA, it is part of an international program that seeks to identify those places that are vital for fostering world-wide bird conservation.” That is a pretty big deal in the conservation world. Finding out more about the IBT is just a couple of computer mouse clicks away. 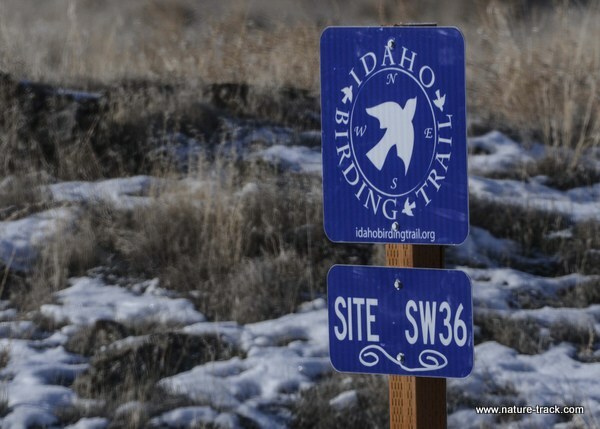 Idaho Department of Fish and Game’s Nongame Program manages website pages dedicated to the birding trail and you can pick up a lot of information starting with the following link: http://fishandgame.idaho.gov/ifwis/ibt/pub.aspx?id=about. This website is full of terrific information that will help with many of your wildlife-based recreation needs well beyond birding. Start with the regional maps. Each one has interactive numbers on the map corresponding to birding destinations. Click on one and you are linked to a map and written directions for that site as well as a description of the site, facilities available and more. If you have a specific site in mind, you can find it in the list below the map. There is also a calendar indicating when you might find different species. There is an interactive species list for each site. One click will take you to other links where that particular bird has been noted in the past. 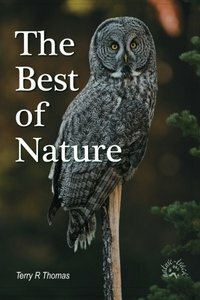 If you don’t have access to a computer, you can purchase the Idaho Birding Trail, a book that covers the same essentials. 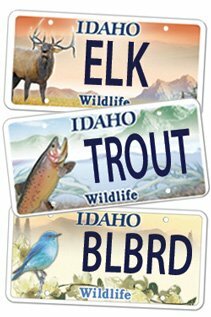 It is available from Idaho Department of Fish and Game offices or online for $5. Whether you are a veteran birder or just starting out, the resources found at the IBT website and in the book are valuable for planning your next trip. Many other states have birding trails as well so check them out before you travel.